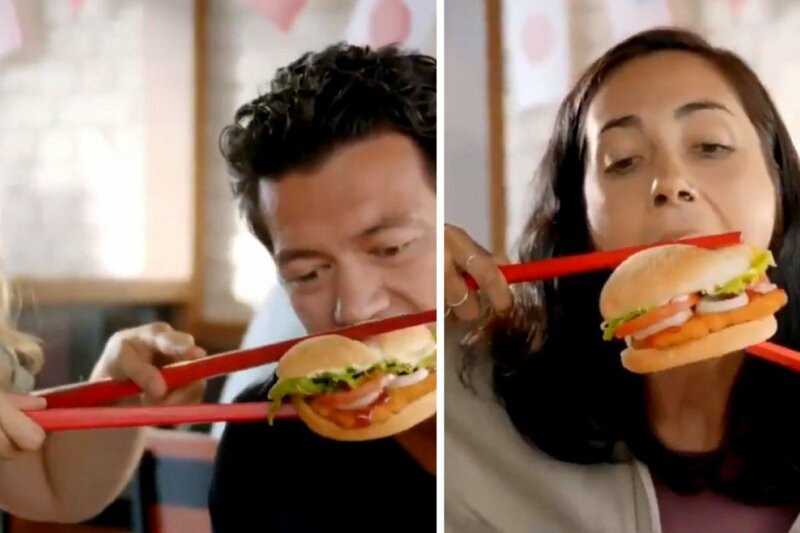 Burger King in New Zealand took down a promotional video showing customers trying to eat burgers with chopsticks after it sparked uproar in Asian countries, including Vietnam, which demand an apology from the U.S. fast food chain. The video posted on the franchisee's Instagram account showed Westerners with pairs of oversized chopsticks in hand struggling to eat the company's new "Vietnamese Sweet Chilli Tendercrisp Burger." Burger King said it asked the franchisee to remove the video immediately. The video had been deleted from the Instagram account by Tuesday afternoon. Social media users in Vietnam, China and other Asian countries demanded an apology, saying Burger King had made a mockery of Asian customs and dining etiquette. In Vietnam, social media users called on others to boycott Burger King and give its stores a one-star rating on Google Maps. Others gave Burger King, which operates 1,000 stores in China and ten stores in Vietnam, the benefit of the doubt. Dolce & Gabbana was forced to cancel a fashion show in China and social media users threatened a boycott of the campaign. The brand's co-founders later asked for forgiveness in a video apology.